Buffet Group has just acquired B&S, the European leader for professional brass manufacturing. This jewel of German lutherie was created in 1762. B&S has 250 employees and its four brands, B&S, Melton/Meinl-Weston, Hans Hoyer and J.Scherzer, are sold all over the world. 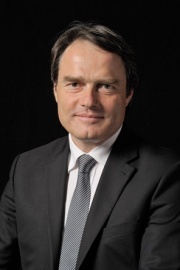 Gerhard Meinl, director of the Group for 30 years, now joins Buffet Group’s Supervisory Board. A prominent figure among instrument makers, seventh generation in a family of luthiers, Gerhard Meinl will advise the teams to ensure the strong reputation of the brands with regard to our artists and institutions. The arrival of B&S within Buffet Group is a major event in its position as the global reference in wind instruments. B&S now strengthens and completes our existing brass brands, Antoine Courtois and Besson. Our Group is now one of the three global players in brass instruments. Our range covers all brass instruments from trumpets to tubas, including French horns and traditional German brass. These instruments are present in every type of ensemble, from brass bands to symphony orchestras, and are played by the world’s most renowned soloists. With the acquisition of B&S, Germany and Austria now become the Group’s third largest market after the United States and Japan. Our global distribution network will guarantee growth and exposure for the B&S brands. I am pleased to welcome the collaborators, partners, dealers and, of course, the many artists of B&S, Melton Meinl Weston, Hans Hoyer and Scherzer into Buffet Group. It is through your talent and skills that these instruments and your company have a unique and dynamic place in the world of wind instruments. The teams at Buffet Group and I are delighted to have you join us. Buffet Group launches "Urban Play"